How often have you asked a reasonable question in a shop and been made to feel silly? How many times, when you know what you want, are you unable to find it, or anyone to help? How often do you find a problem with what you’ve bought and its guarantee just expired? Yes, it’s happened to us as well. That’s why the quality flooring and fitting service we provide is backed by our personal guarantee, making your purchase even easier and risk-free. We will always treat you properly, listen to you and give you the correct and most appropriate new flooring advice. The work of our fitters is assured for the lifetime of the carpet or vinyl flooring under normal conditions of use. In the unlikely event of a fitting error, we will replace the flooring, provided it is fitted by our fitters in line with manufacturers’ requirements. Our manufacturing partners will work with us to remedy any problems due to the manufacture of the flooring with minimum fuss. Buying any type of new flooring is generally an occasional purchase, but it’s a big investment all the same. 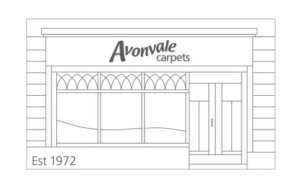 At Avonvale Carpets, Bath we want you to feel even more confident in your choice of flooring. To find out more about our personal guarantee pop into the shop, or call us on 01225 427 057.